The STYLE INSPO series is back! I'm so pumped to make this a more prominent feature on my blog, I feel that this year I know exactly what my style is and who inspires it. 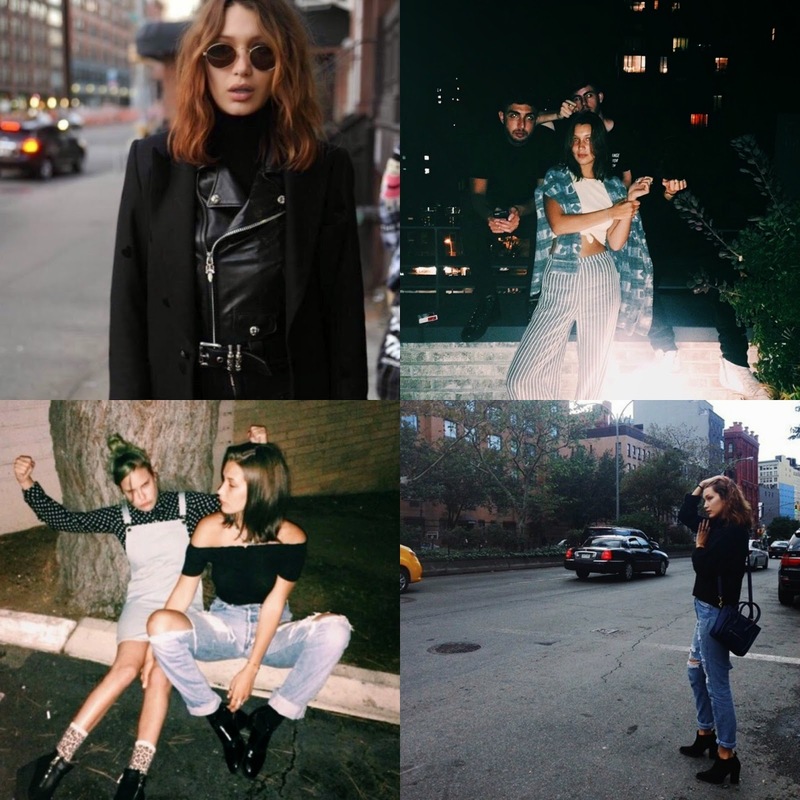 So, without further or do, the first STYLE INSPO of 2015 is all about Bella Hadid. I am obsessed with the Hadid's. Gigi  and Bella  just nail that effortlessly cool vibe. Both girls have crazy busy modelling careers but juggle that with education and I think that's ace. I love their natural approach to both make-up and style, they don't ever look as if they're trying hard to be something they're not. Naturally, I definitely gravitate more towards Bella's style. Annoyingly, there aren't many pictures of her so I had to rely on what Tumblr and Instagram had to offer, but you'll get the idea. Bella has a tomboyish vibe to her style and I love it. There's a definite 90s influence, a real throw on and go - scruffy jeans, Converse and a baggy tee. It's so simplistic that I guess in a way, when it comes to style people often look for something more complex and expensive, but I love the cool laid back approach instead. However, Bella has the ability to go from 90s babe to high fashion gal real quick. I've discussed it before over here on T-L-L but I absolutely love that contrast when it comes to style.. I absolutely love that by day, Bella is the girl next door but can nail something a lot more structured and sharper at events and night time. 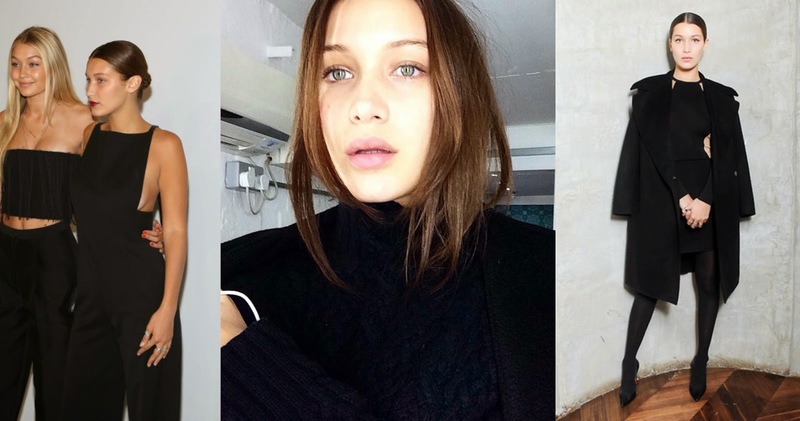 I'm not a make-up person in the slightest but I think the Hadid's fresh-faced nature just adds to the style. Their confidence shines through, they don't need a tonne of make-up or to be strutting about in heels while hanging out with friends, [besides being uber rich and models] they're normal gals and I think that's another reason I am so attracted to their sense of style. It's them and you can tell it came from them, not a stylist, which I appreciate in people. I mean obviously, I might be wrong and I know that for photo shoots there is obviously a stylist present but day to day, it seems to be a really unique to both Bella and GiGi, their personality shines through. One of the reasons I take inspiration from Bella's style is that it's consistently evolving. You can tell there are staples in her wardrobe that she relies on but at the same time, especially at events, she'll take a risk and wear something a little bolder. I've also noticed that there are subtle changes in Bella's night style, she tends to lean towards a bolder lip and slicked back hair, emphasising her cheekbones a little more so than during the day. I absolutely love the jumpsuit she's wearing alongside Gigi in the picture above, I think that looks so classic and sophisticated, the girls just come across really classy. For a born and bred American, there's something about Bella's style that's typically British to me and maybe that's why I am so drawn to it. Whereas Gigi is more of a Californian beach babe, Bella would fit straight into London life. I forecast my style to be pretty similar to Bella's this spring/summer and I think she's a great person to take style inspo from, even if she is a tad bit younger than me! 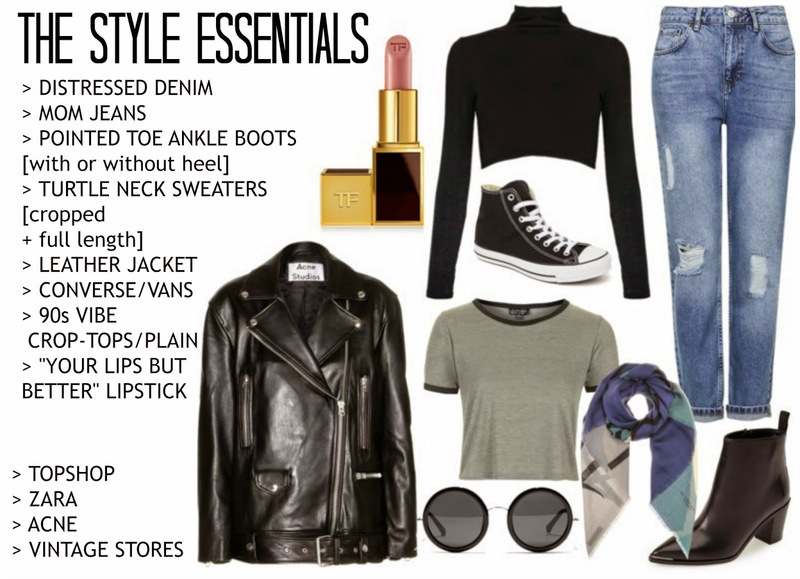 If you're looking to get Bella's daytime look, here's some essentials bellow.